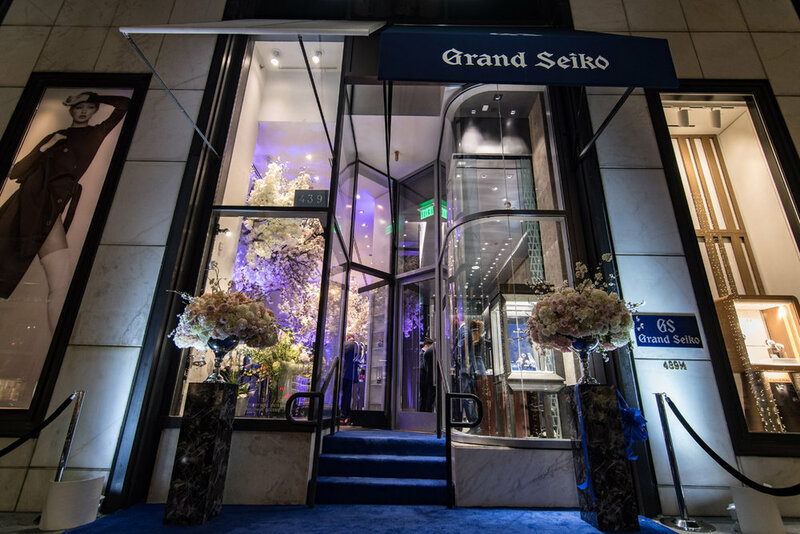 The first Grand Seiko opened it's doors in Beverly Hills with a grand affair. 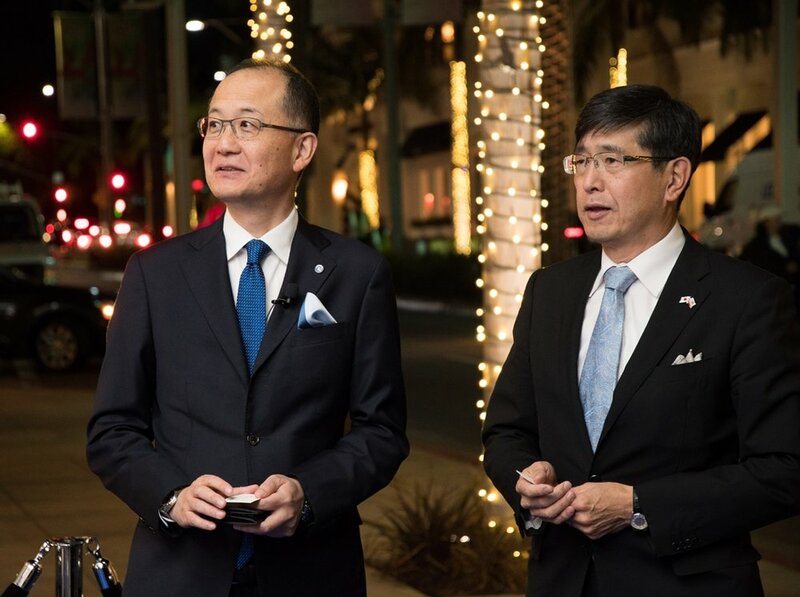 In attendance were the Mayor of Beverly Hills, Lili Bosse, President and COO of Seiko Watch Corporation, Shuji Takahashi, Los Angeles Consul General, Akira Chiba, and Chairman of SCA, Akio Naito. 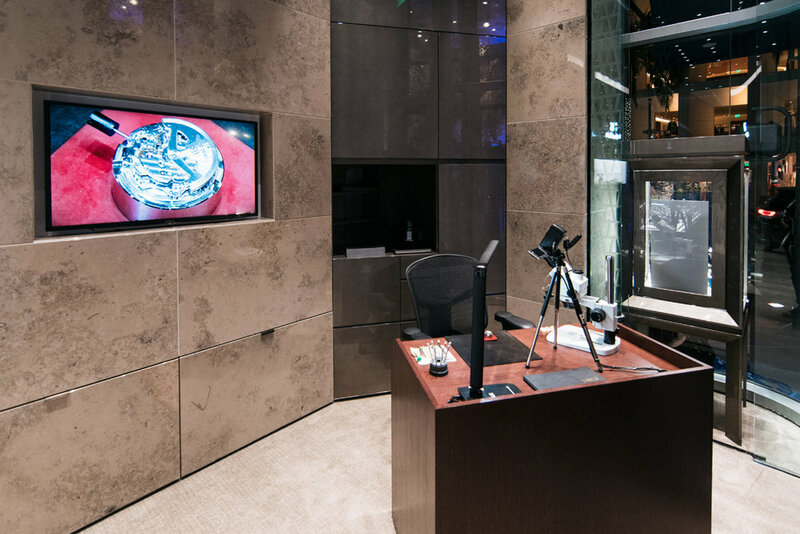 We were honored to have been part of the grand opening of the first Grand Seiko Boutique in the Americas on the world famous street, Rodeo Drive in Beverly Hills. Grand Seiko watches are hand made in two studios in Japan dedicated to preserving the fine art of watchmaking while pushing the limits of innovation and design. If you are a watch aficionado you will appreciate that this location will offer designs that have never before been available in the US. We peeked around the store and can confirm that the store is spectacular and worth a visit to Beverly Hills. The evening festivities began with a ribbon cutting. Of course, the ribbon used matched the Grand Seiko signature color, royal blue. After cutting the ribbon Mr. Takahashi, Ms. Bosse, Mr. Chiba, and Mr. Naito took part in the traditional kagami biraki, or "Opening the Mirror", ceremony. During the ceremony the lid is opened using a wooden mallet (kizuchi) and then masu cups are are filled with the sake with a wooden ladle (hishaku). Masu cups are wooden, square, and resemble cups used to measure rice. Beautiful florals from Shawna Yamamoto accentuated the intimate space nearby as guests enjoyed food and cocktails from the famed Nobu. 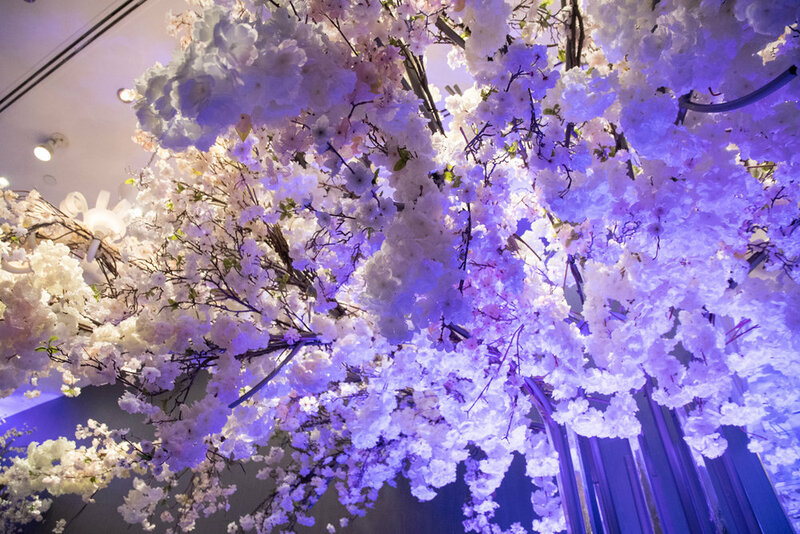 Upon entering the showroom guests were greeted by hundreds of cherry blossoms. Many of the watches found at Grand Seiko are Limited Edition and never before sold in the United States. A master watchmaker demonstrated the Spring Drive movements which are unique and exclusive to Grand Seiko. Each watch is hand crafted by hihgly skilled men and women. Guests enjoyed food prepared by world famous Nobu Matsuhisa...truly a decadent treat for anyone who appreciates fine Japanese cuisine and sushi. 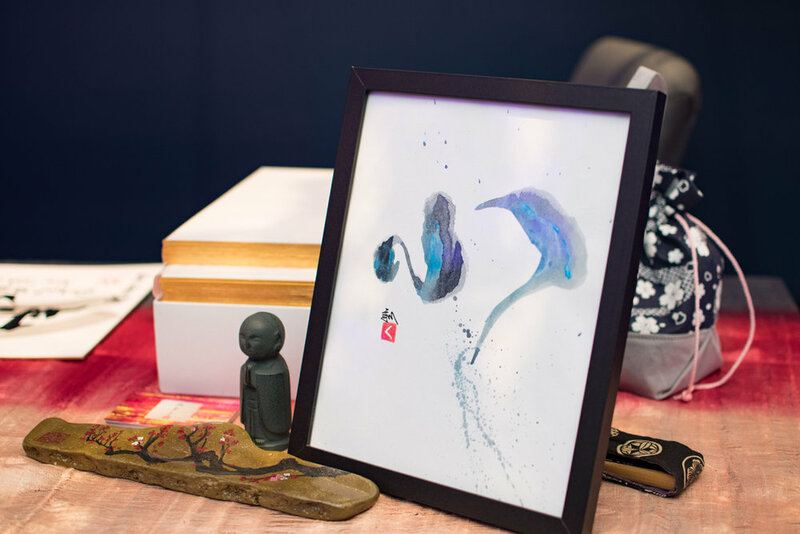 A Japanese callighraphy artist was on hand to create custom souvenirs for guests to take home. While guests were shopping, drinking, and eating they enjoyed the sounds of the traditional Japanese koto string instrument. The party continued at the hip, super swanky, 60s vibe, under-the-radar LA hotspot, the Peppermint Club. Guests were treated to a Japanese whisky tasting while listening to a live koto musician and jazz band.